An organizational psychologist and intellectual visionary, Atma is a provocative, colorful personality whose commentary on the subjects of wellness ranges from opening yourself to compassion and empathy to the absolute need for personal discipline and courage. As a leadership mentor his methodology derives from his study in India of the ancient Vedic teachings to post-modern, high-tech, street level savvy. Atma brings a unique and cutting perspective to the little-understood world of yoga psychology. An agile environment organizes the resources of an organization in a more adaptive and disciplined way. Short-term adaptability and rapid response strengthen long-term planning. Using the concept of controlled chaos it is possible to increase efficiency and innovation. Through new roles and a few rules any organization or group can become more agile. The philosophy of agile has a number of important ideas, such as: self-organizing groups, knowledge sharing cultures, participatory environments, individual empowerment, responsible stewardship, collaboration and open communications. In this sense, agile is more a way to create a new culture than simply a way to write software or manage a project. For this reason, it is adaptable to almost any workflow or operational situation. 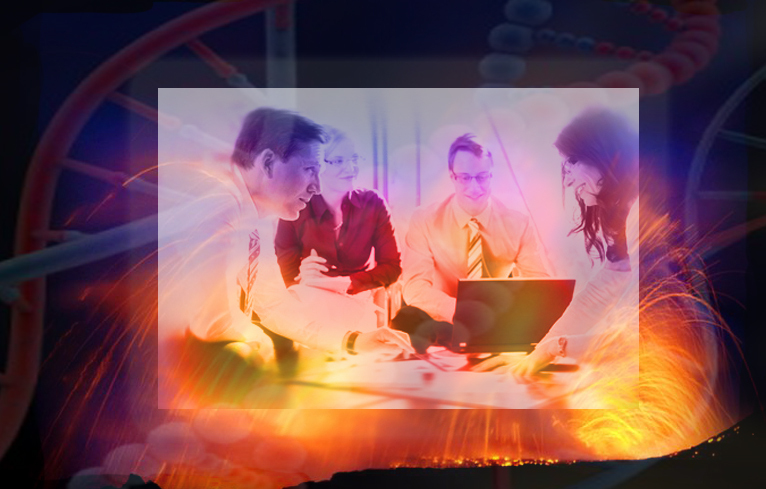 In essence, agile blends the simple credo: “act – analyze – adjust” with the life affirming principle of “people first”. The result is a more effective organization. This is why agile is such an important part of management 3.0. You then prioritize your user stories and estimate the difficulty of completing them using story points. This is important because it involves all the core members responsible for bringing your project to life. Estimating has significant psychological value because it improves communication, knowledge sharing, and over time establishes realistic production capacities. You then plan your first release. This will be a four-month interval that aims at completing a deployable or demonstrable version of your product or service that you will test in the marketplace. Inside of this release period will be a series of sprints, possibly 4 four-week work sessions. These sprints will be iterative in nature, meaning you produce results that you test and evaluate in some way. The result of the testing or evaluating then influences the next sprint. Product owners do this in part through the product backlog, which is a prioritized features list for the product or service. The product owner is commonly someone with a solid understanding of users, the market place, the competition, and of future trends for the product, service, or type of system being developed. Small groups of say 2 or 3 members, not part of a larger operation, can share and/or rotate the roles of Scrum Master and Product Owner. Core Team Members are everyone else directly responsible for bringing the project to life; or, in a going concern, meeting the quarterly release objectives. They work collaboratively and develop themselves in an interdisciplinary way. This means simultaneously mentoring and learning from other members of the group. They will also take part in the organization’s knowledge sharing system. And of course they must participate in the daily stand ups. The rule to creating a product backlog is not to list outcomes. Outcomes are the results of actions and not directly under any individual’s control. This includes sales volume, client acquisition, or basically any “goals” that are not made up of concrete action steps. A product backlog is a list of actions or activities waiting for your team members. Writing organizational or operational goals as user stories has a psychological benefit. It helps give everyone involved in the development process, adopt a customer-focused perspective. User stories also help develop empathy, which can increase innovation. Additionally, stating requirements as end-user-needs can help reduce certain cognitive biases. As the list of user stories grows, the stories or product backlog are sometimes logged in specially designed software (e.g. scrumy.com, Agilo for Scrum, XPlanner, and perhaps Mingle). We are currently testing out AgileWrap. [I’ll update with our team’s opinion over time]. You can also keep it real and use index cards or sticky notes. They use of analog cards allows you to place them on the wall and use a kanban system of lean workflow (more on that later). If you stick with the wall system, you will still need to input the stories, estimates, and completion rate into a spread sheet to track your velocity. To make user stories, or anything on your product backlog list more effective, it is important to include all the team members and stakeholders that will influence the product or service. For example, if you are building an iPhone application or new website, the user experience is as important (sometimes more important) than the capabilities. Therefore, it is important to involve your UX/AI person when you develop your product backlog. Whatever your product or service is, it is a good idea to bring your design and user experience team in from the beginning. Thinking about how end-users will see and experience your service or product will force potential problems and issues out earlier and not later. Including the designer(s) in the early stages can help bridge the gap between end-user and the development team. A Sprint is a predetermined length of time (one week to four weeks) during which the team will work to complete the tasks agreed upon in the sprint-planning meeting. A Sprint-Planning Meeting will include the product owner, Scrum Master, and the rest of the team. Unlike the product backlog development process, which can involve multiple stakeholders/clients, end users, etc…-sprint planning is usually restricted to the core team in charge of building or creating the product or business. Estimate the amount of time each story or requirement will take to complete. This is a crucial piece of the agile-sprint methodology. In the early stages it is difficult but as the sprints progress you will get better and better at it. Part of the secret to good estimates is to predict the effort, not the calendar time that a project will take. One trick is to convert tasks into points rather than time. Points can take into account more than just time such as complexity or simplicity. As you complete sprints, you can track the percentage of actual tasks completed and chart that number as your sprint Velocity. To predict your next iteration’s velocity, add the estimates of the stories completed in the previous iteration. Define the basic goal of the sprint based on the sprint backlog. This is a short sentence or phrase that sums up the purpose of the sprint. Daily Standups are meetings attended by the entire team (everyone committed to the project’s completion). These meetings are strictly limited to 15 minutes and no sitting. Ideally they occur at the same time and place everyday. Team members that are working from other locations can meet through Skype or Google hangouts. The daily stand up is not the age-old status report meeting where management collects info on who is falling behind. Instead it is a session where members make commitments to each other about what they will complete. If impediments surface, the Scrum Master (as well as other team members) can help to resolve them as quickly as possible. If the obstacle cannot be handled in the meeting it is the Scrum Master’s responsibility to resolve it as soon after the meeting as possible. It can also be useful to hold your daily meeting in front of the board showing the sprint backlog; aka the sprint or scrum task board. Celebrate the Milestones – it is important to take time out to chill and reward the team at the end of each sprint with a celebration of work done. Post Mortems are conducted at the end of each campaign to review and record what you learned as a team; sort of like a retrospective of all that occurred from beginning to end. Vision Log – The vision log is a monthly, quarterly, or semi-annual revisit and revision of your organization’s objectives. Here instead of a static mission statement you will create a shifting growing journal, chronicling the purpose of your entity’s existence. Project – Usually a project is a specific product or perhaps a big event. If no specific finished product is the goal either because it is complete, and you are in sales mode or because that is not the nature of the business (like a service business), then make each quarter a project. Note that your quarterly objectives or user stories will come from your Organizational Vision Log. Product Backlog – a list of all the user stories (objectives/requirement) required for your project. You will use story points to estimate the difficulty of each user story. Story points – these are estimating values that show the difficulty of each story when compared to other stories on your list (backlog). The members of the core team estimate the point value of a story by taking into account the time, complexity, and potential pitfalls. Points begin with best guess value such as an ideal workday. Stories are then evaluated in comparison to other stories in the project. So if a story that is fairly easy to complete is a 1, then something that is twice as difficult is a 2. If the next story is twice as difficult as the 2 was, then make it a 4 and not just a 3. Do this to help avoid cognitive biases. It is better not to use a 1, 2, 3, 4, 5, 6, sequence for estimating. This tends to lead to bad estimates. It is a better idea to use a logarithmic sequence like (1, 3, 5, 7, 11, 13,) or a tetranacci sequence like (1, 2, 4, 8, 15, 29). Also, don’t overthink it when you are first starting out. Over time your organization will get better and better at estimating user stories. A description of how it brings value to the end-user. Discussion of details as well as the understanding and expectations of the people affected by the story (from developers, to clients, to end users). Clear criteria are used for determining if a user story is complete and acceptable. A useful acronym to check user stories is INVEST. I – Independent: is it a thing in itself? Or does it depend on many other factors to work? 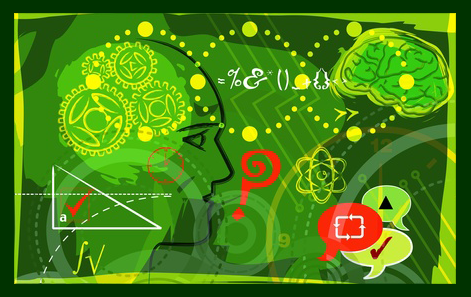 N – Negotiable: Is there room for improvement, flexibility, adaptability? E – Estimable: can your team come up with a ball park estimate? S – Simple: is it small enough to fit in a sprint? If not, can it be broken down and stay independent? T – Testable: develop a means of testing or assessing any user story. Releases – these are milestones and usually the product of multiple sprints (but not always). They represent a working version or component of a project. It could be an event or a presentation in a sales and marketing context. It could be a demo or prototype of design work. In a service context it could be a monthly report. Basically, a release is the demonstrable or deployable results of multiple sprints. Sometimes, a sprint and a release coincide. For example the last sprint of a release could be known as the release sprint. It is also possible for a release to only require one sprint. 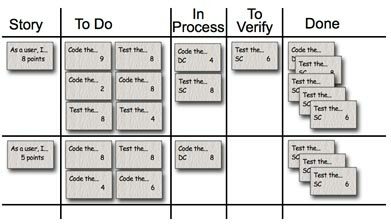 Tasks are the discrete actions generated by the user stories in any given sprint. Estimate tasks in hours. Defects – when you get feed back from users or testers that something in your product, service, or process isn’t working and the solution is not a quick fix then you can list the problem as a defect. It will be in the backlog ready for scheduling (i.e. attached to a sprint or a release. The Sprint Task Board is a visual display of how stories or requirements are progressing through the sprint. This can help alert the team to bottlenecks or mis-estimating. A Sprint Review Meeting is held at the end of each sprint. This is both a concise presentation of everything accomplished during the sprint and a review of the team’s velocity, i.e what the team accomplished versus what they estimated. Sprint reviews are informal, simple, and need limited amount of preparation time, so as to not distract from productivity. Participants may include the sprint team as well as clients, consultants, and end users. Burndown Charts are how the Scrum Master or Product Owner keep track of the team progress by graphing the amount of estimated work remaining over the course of the sprints. The sprint burndown chart gives the team a visual record of their progress. The chart typically presents 2 lines going from the top left section of the chart towards the bottom right. While the first line presents an estimate of work delivered over time, the second line shows the real values. As such, the Burn Down Chart helps predict when work scheduled for the current release or sprint will finish. The Y axis is units of time or story points estimated and the X axis represents units of calendar time or the number of sprints. Velocity is the distance covered in each sprint as measured by story points. This is a relative number; you are comparing output from sprint to sprint based on your teams estimates. If your team guessed you they would finish 20 story points worth of work but only completed 18 then their velocity is 18. Over time keeping track of velocity will help make better estimations. Velocity is not a tool for measuring productivity; it is just a tool to improve estimates. Here is a good article on velocity by Michael Lant. Please post your comments and feedback. I would love to hear from you. Planning is crucial. Plans aren’t. 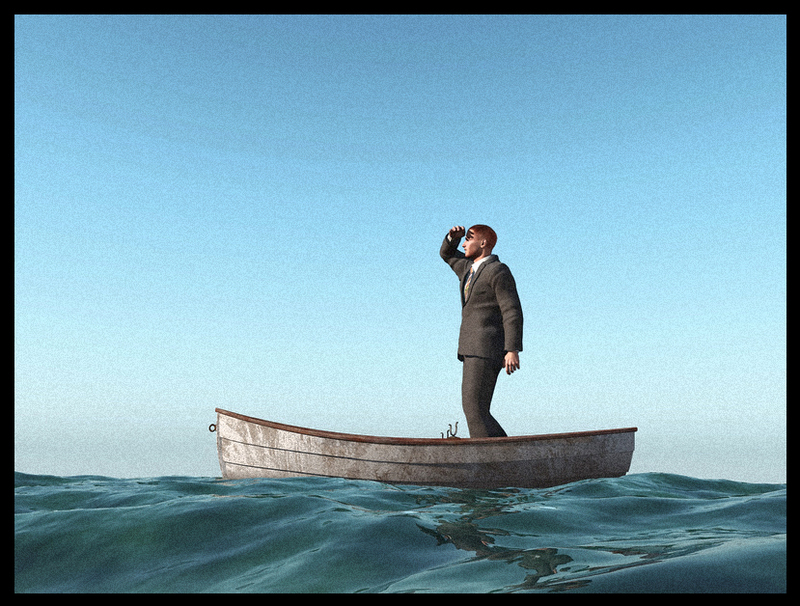 In the Management 3.0 paradigm the age-old ‘mission statement’ becomes a thing of the past. Instead you begin with a goal, but you execute with the goal of flowing. This perpetual re-visioning builds the institutional dynamics of resilience and adaptability. The vision log is a monthly, quarterly, or semi-annual revisit and revision of your organization’s objectives. Here, instead of a static mission statement, you will create a shifting, growing journal chronicling the purpose of your entity’s existence. After every session publish a summary statement to show the evolving vision. Additionally, write a synopsis of the conditions and issues that are most pressing on your goals. Describe the climate surrounding your endeavor. What are your biggest obstacles, who are your biggest (or most vexing) competitors? Include anything that is pertinent and discuss your plans to overcome these issues. Prepping for brainstorming raises efficacy. Starting a group brainstorm session without doing some preparation can create inefficiency by causing people to fixate on the earliest ideas. Before every brainstorming session, send out a memo explaining the agenda or purpose of the session. Tell each participant to come up with 12 distinct ideas to begin the session. This gives everyone a chance to work alone in their own heads before coming to the group environment and will increase dramatically the number of ideas being discussed. Paint a picture of the future as big and bright as you can imagine. Then look at your available resources and work backwards from those limitations to create your first minimum viable product or service. This is part of the new psychology of business models. Your minimum viable product will be your first release; a deployable or demonstrable version of your product or service that you can test in the market place. 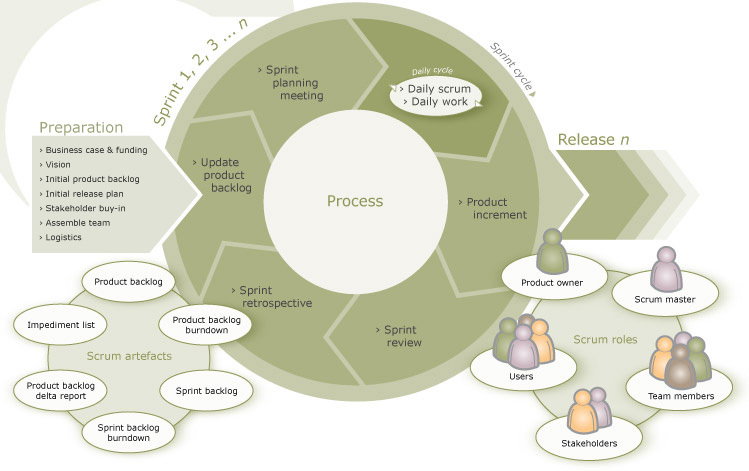 Later in the agile process they you will break then down into the smaller user stories that make up your sprints. This happens in a sprint planning session. Overall, let the vision log be a living, breathing, changing chronicle of your organization’s dreams and daring. Instead of being rigidly attached to one course of action, be open to where the flow of ambitions, markets, and reality will take your company. You have a great business idea but you are not sure how to develop it. Should you follow conventional wisdom and write-up a thirty-page business plan? No. 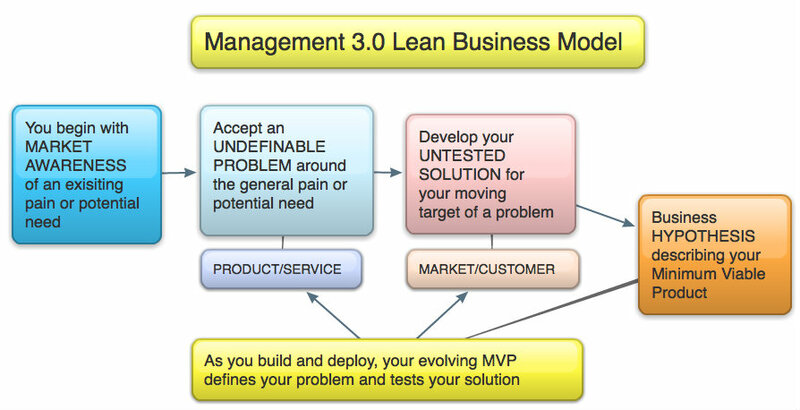 In my management 3.0 model, startups will have more success if they adopt lean and agile business development principles, where failing fast is the premium strategy and the lean business model reigns supreme. I first encountered the idea of developing a one-page business model in 2007 when I came across the Osterwalder model on the web. This struck me as an attractive alternative to the starting point for a business instead of, say, a 30-page business plan. What I didn’t understand then, was that the beauty and power of a business model is not that it is just a boiled down summary of a business plan, but rather a way to change my psychological approach to building a business. Nobody was around to tell me this, so my startup (an early attempt to gamify corporate wellness), died a needlessly slow and painful death. Fortunately, it all clicked when I encountered the literature around lean startups. In this article, my description of management 3.0 for business models draws on the work of several very bright entrepreneurs and thinkers, including: Alex Osterwalder, Steve Blank, Eric Ries, and Ash Maurya. I include links to their work at the end of this piece. I have also taken ideas from the efforts of Tor Grønsund and Rob Fitzpatrick. Now that you have an idea for your business, or perhaps your company has an idea for a new division, or you want to reboot, either way you need a business model. “But wait!” you might say. “What about doing market research?” Good point. In the management 3.0 process, some market research can still be done during the idea development stage. But things have changed. It is now possible to shift a large part of the market research into the product development phase. You do this by launching sooner than later. And you start by developing the simplest working version of your idea. You call this your minimum viable product (MVP). MVPs, continuous deployment, rapid iterations all represent major changes in growing a business. All of which is possible because of something I call, the collapse of the customer feedback float. In 1982 John Naisbitt wrote, in his classic book on future studies Megatrends, about the collapse of the information float. He defined the information float as the amount of time information spends in any media channel. The float was the amount of time between transmission and reception. As technology-satellites, cellular networks, etc…- made the transmission and reception nearly instantaneously, this float collapsed. Today, technologies such as social media, smart phones, high-speed data mining, ubiquitously networked electronic devices, etc… have precipitated the collapse of the customer feedback float. This float refers to the amount of time it takes a vendor to understand whether their product suits the market’s interests. As this float collapses, what used to take longer to figure out, costing a great deal, can now be determined faster and much cheaper. This collapse of the customer feedback float becomes part of the new psychology behind the lean business model. 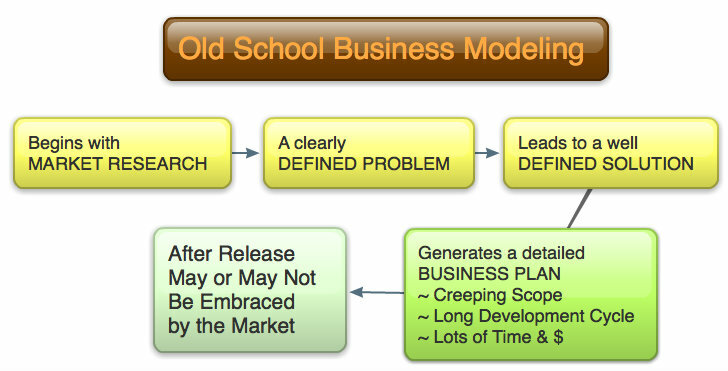 To contrast the differences I’ve been explaining, let’s breakdown the old school approach to business modeling (Figure 1 – below). First, you would do market research to gain some insight into a potential market or an underserved market. This would result in a prospective idea/solution. This idea would then be expanded into products/services to address the possible market need. In this way, the old system would produce a defined solution for a defined problem. From this, a detailed plan for execution filled with scope and projections would rise up out of the business ether like Mount Olympus. Hopefully, all the expensive market research was right on and success would follow. Unfortunately, most of the time, it wasn’t. What did follow, almost every time, was creeping or even ballooning scope, increasingly large investments to support a lengthy development process with little iterative feedback, and a big resource commitment to create an amazing product or service that the in the end market may not actually want. Now let’s consider what the collapse of the customer feedback float makes possible. When you launch a minimally viable version of your product or service, the current uber-connected market place allows you to get high quality feedback from your potential markets almost immediately. This data can then inform your development process, ensuring that you are building products based on real-time, market demand. Developmental efficiency increases because it comes from shorter, iterative, development cycles that hew more closely to products and services the market actually wants. However, the really interesting benefit to this act-analyze-adjust approach is the way it impacts organizational and personal psychology. By moving from a long view of development to an iterative view, you must be ok with not knowing all the answers. This is a psychologically superior position because it allows for greater innovation, resilience and adaptability. The old school methods of long-term planning and development created a false sense of security or pseudo-stability that has long been valued by stifling corporate bureaucracy. Overcoming this tendency gives both the new startup and the rebooting business a big advantage. So, the basis for the old business model was that market research leads to a defined problem that leads to a defined solution that leads to big scope development which then risk a great deal of resource. 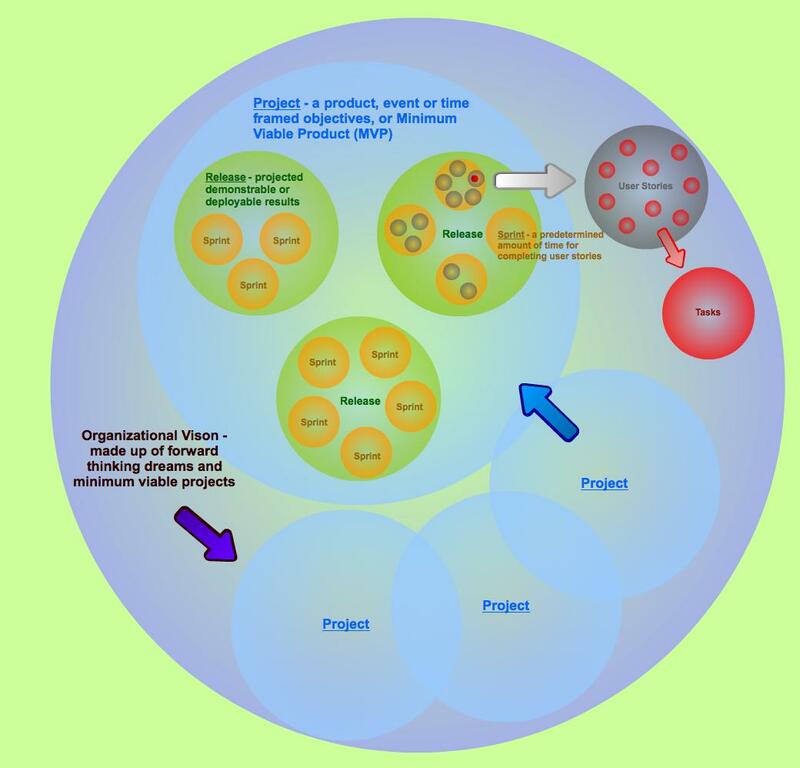 So what does a Management 3.0 business model look like? 2) Assume that you have an undefinable problem around a general pain or potential consumer need. 3) You then put forward an untested solution for your moving target of a problem. 4) Next you describe your Minimum Viable Product. This is your business hypothesis. This approach (see figure -2) represents a new psychological positioning for the entrepreneur. The challenge is to admit that you only have an untested solution for an unproven problem. So what is the benefit to taking this position of uncertainty? You can now develop a business model around an evolving hypothesis that is subject to constant testing and iteration. This working hypothesis becomes your minimum viable product. 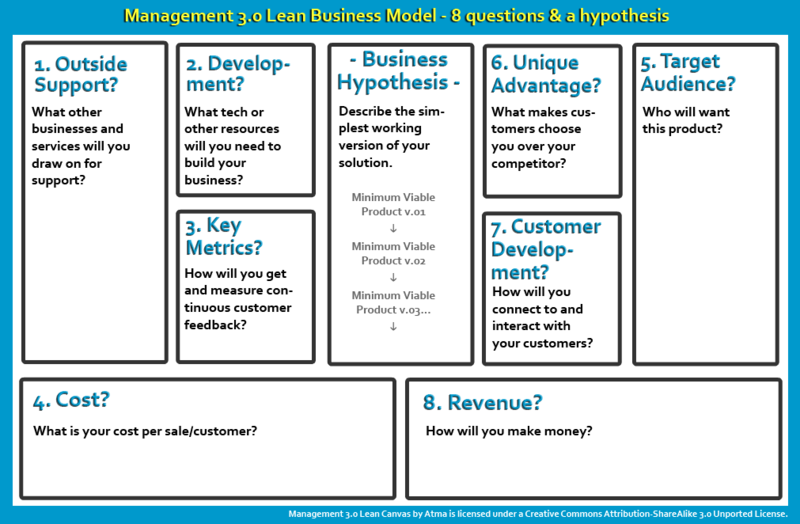 At this point, you are ready to write a business model around this hypothesis that begins with answering eight questions, and after filling out your lean canvas you begin testing your M.V.P. hypothesis in a cyclical approach. 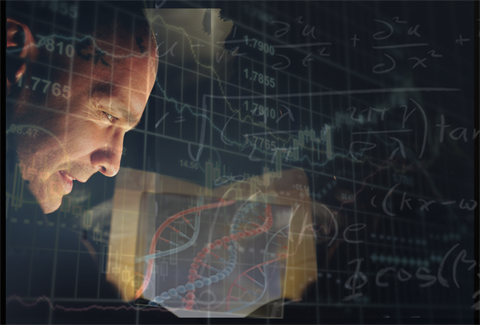 Each newly tested version of your evolving hypothesis – a.k.a. your iterating Minimum Viable Product gets plugged back into your business model. The eight questions can then be revisited and your model continues to adapt to market reality. Four questions expand on the product side (your untested solution) and four describe your approach to the market (your undefined problem). Remember, the undefined status is an asset because it keeps you in a testing, innovating mindset. Product questions: built around your initial business hypothesis or M.V.P. 1) Outside support – what other businesses and services will you draw on for support? 2) Development – what tech or other resources will you need to build your business? 3) Key Metrics – how will you get and measure continuous customer feedback? Demographic analysis of individuals (potential customers) applying to become customers, and the levels of approval, rejections, and pending numbers. Turnover (i.e. revenue) generated by segments of the customer population. 4) Costs – what is your cost per sale/customer? What are your economies of scope (what other products or services can you use offer using your existing structure)? 5) Target Audience – who will want this product? 6) Unique Advantage – what makes customers choose you over your competitor? What do you do that will be difficult for your competition to copy or buy? 7) Customer development – how will you connect to and interact with your customers? 8) Revenue – how will you make money? My canvas is one of several iterations based on the original Osterwalder version. All of them have value. Although this one is especially suited for agile development. The important thing is to start with one and begin testing your hypothesis. Allowing your perspective to shift from a big-plan-specific vision to a fluid-discovery-process is an important part of Management 3.0. Seeing business growth as a series of discrete discoveries instead of an overreaching plan wires your brain for flexibility. This, in turn, will enhance your creativity and your ability to innovate. As you can see, Management 3.0 is more than just new tools for growing your business. It is a new way of thinking; a clearer, braver way to think. You have a great idea for a new business, an invention, an iPhone app, or you are ready to create the next Internet. Now all you need is a partner, or maybe even partners*, to bring your vision to life. How should you go about looking? How can you lower the risk of choosing poorly? There are many issues to consider when deciding whom to work with. You have to consider skill sets, experience, availability and ambition. You also must consider the all-important issue of temperament. Someone who has the first four qualifications but lacks the ability to get along and work without undue conflict with others will result in a dismal and often costly counterproductive situation. 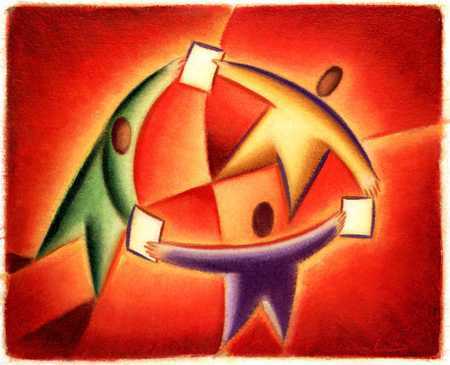 Partnerships can, if successful, achieve more than individual agencies working alone. Among some of my findings on the nature of why partnerships fail is that people mistake partnerships as something that will make their lives easier. The reality is, that most of the time, partnerships make life harder and the most compelling reason to add such a burden to one’s life is because the two parties (or more) can create something together that they could not create alone. Having clarity about the value of that potential creation is necessary for overcoming the added difficulty of the partnership. Many partnerships have begun on the best of intentions based on apparent compatibility among associates and then somehow degraded into conflict and discontent. One clue is in the concept of “apparent compatibility’. Sometimes this apparent compatibility is actually the product of your enthusiasm. Enthusiasm can mask potential flaws in prospective partners and associates. This also happens in romantic relationships when the initial chemistry fails to reveal psychological differences between partners. In both situations the heady hopes that this person is “the one” clouds your ability to discern. Sometimes excitement about an idea makes you feel desperate to find someone with whom you can develop the idea further. You may meet someone who seems perfect because of his or her talent or experience but this is where you must learn to exercise patience. Ask yourself how you really feel about this person. If they did have the expertise or resource that is exciting you, consider whether you would want them as a friend? Would you want to spend a lot of time with them? Get the opinion of others who know you and who may have an easier time being objective. Part of what contributes to future conflict is the optimism and enthusiasm of a new venture. Filled with hope and aspiration, cofounders, new partners, closely involved investors and principal stakeholders layout a blueprint for the future; one made of projections, business plans, corporate bylaws, shareholder agreements, etc.… In this prospect filled process, difficult and potentially painful questions go unanswered. Taking the time to sit together and answer questions that the Atman Approach provides can go a long way to reducing future pain and even untimely death to a viable project. 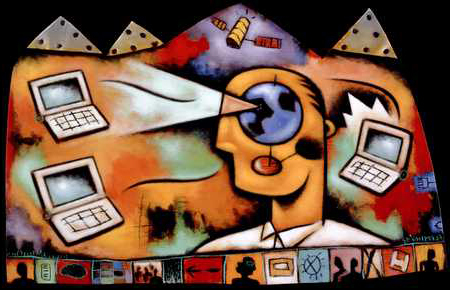 The Atman Approach uses automated (or when possible live) facilitation through questionnaires. Often the process can seem almost like a therapy session. It is not. It is, however, a vital means of uncovering unseen emotional hazards early on and making provisions for them. Money is usually the biggest cause of future conflict. So in the Natural Language Session we give that issue the most attention. For example the questionnaire takes future partners through a number of scenarios to develop a clear strategy for overcoming such situations. The process uses natural or conversational language. The whole session is recorded and a transcript is produced. This transcript is then delivered to the attorney for the business entity and a legal document, partner agreement; additions to bylaws, etc.… are drafted. This turns the frank and open-hearted discussion into a far more mature legal framework for the venture. This type of preemptive work has the potential to save money and cut the likelihood of future heartache. Pick partners that you like. Are they someone you want to do social things with? Learn more about how face reading can make you a better judge of future partners and employees here.